Lana Sumner's 5th-graders are comparing stream behaviors on steep slopes; part of an inquiry-based Science program at Broadview-Thomson K-8. 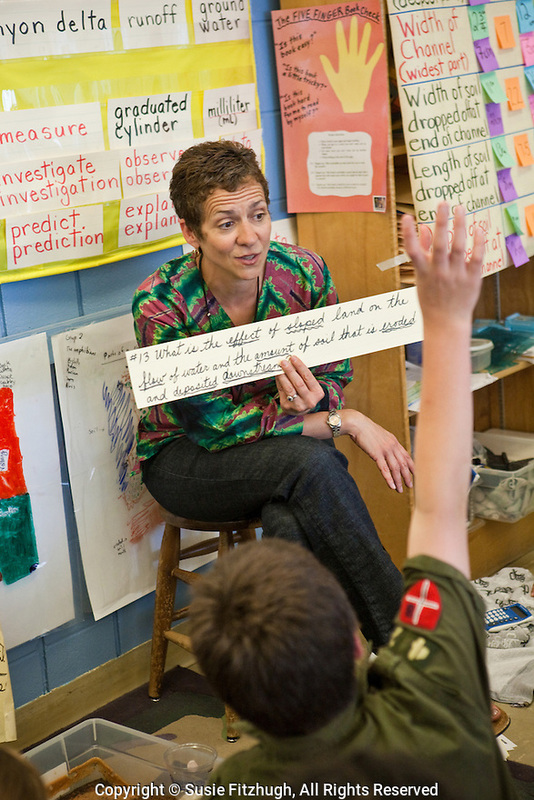 Helping in the classroom is Kathryn Show, an SPS School Coach, and ___, an ELL classroom assistant. Restrictions: No rights of reproduction without written license from the copyright holder, Susie Fitzhugh.